If you just got back from CYL 2012 in Las Vegas you know how great this new booklet is. We sold out of this booklet very quickly along with the Kitchen booklet. 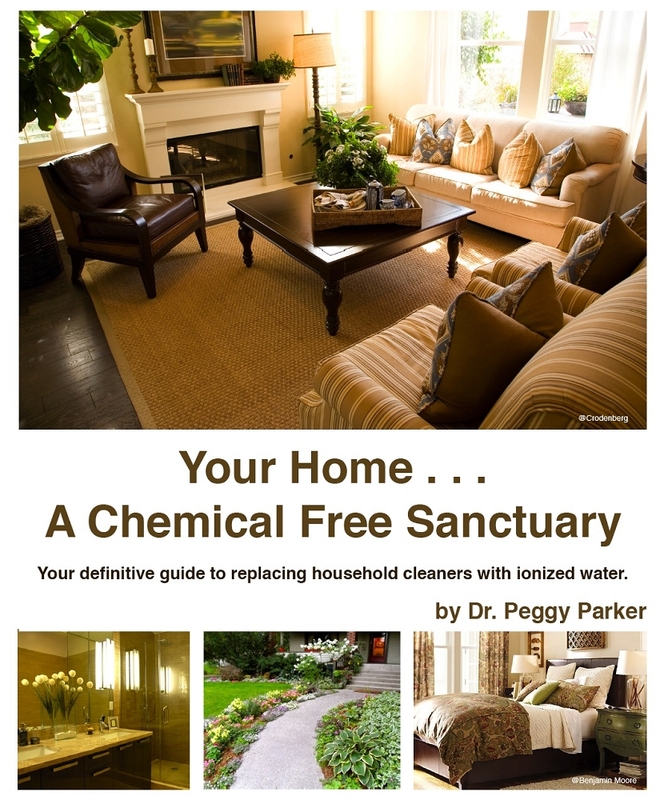 This is a beautiful 20 page color booklet written by Dr. Peggy Parker, one of the foremost experts on Ionized water. The booklet is filled with photos and descriptions of how you use 2.5pH and 11.5 pH all around the house It shows and tells about cleaning, sanitizing, uses in the garden, on glass, in the laundry, dishwasher, and many more uses you've never thought of. This is the perfect tool to give to prospective customers and old customers. Imagine giving a copy to a customer you haven;t seen or spoken to in a year. They will be grateful and might just have a lead or two for you. This will be one of your favorite brochures. Sole in 10 packs for $49, or if you buy 3 ten packs you get a 4th 10 pack free.